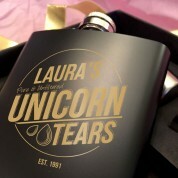 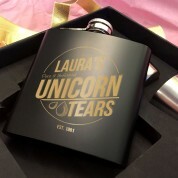 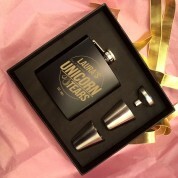 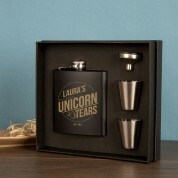 Enjoy the benefits and euphoria of pure and unfiltered unicorn tears. 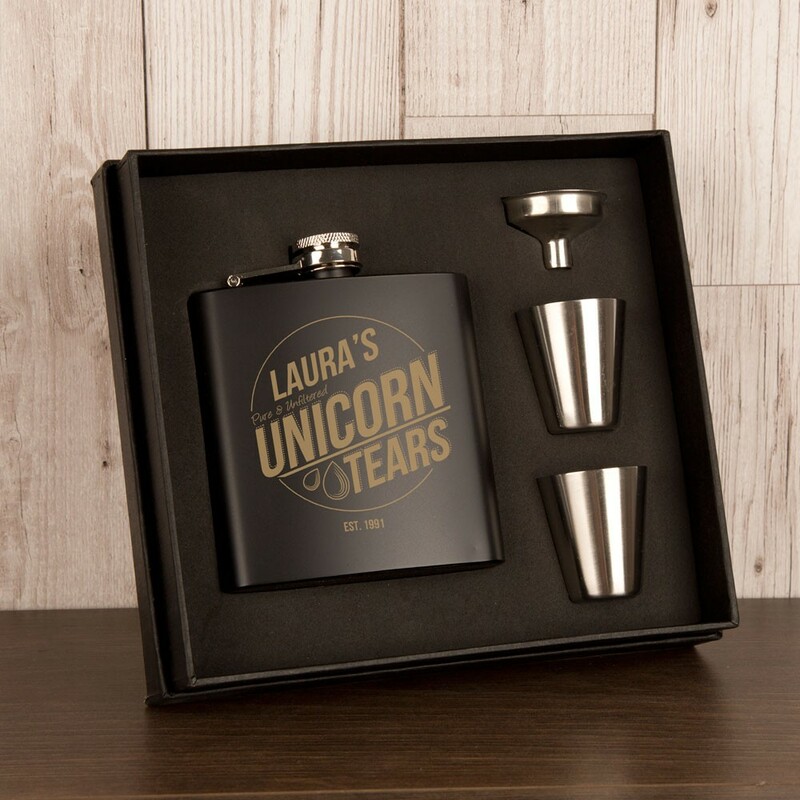 Treat your loved one to this beautiful engraved matte black hip flask. 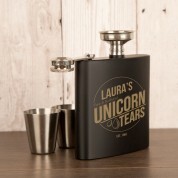 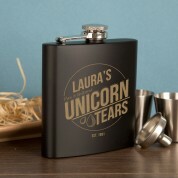 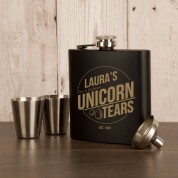 We design and engrave our hip flasks in house with your loved one’s name and year of birth. 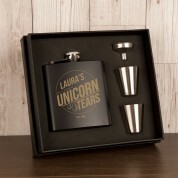 Sporting a lovely design, this hip flask comes in a black presentation box with 2 measure cups and a funnel to avoid messy filling.